Ceiling fan is one of the things that is worth investing in because of its many benefits and functions offered to people. This is a thing that can provide comfort as well as help improve the appearance of the house because of its stylish look. What are factors to look when choosing ceiling fan? • The Room Size: The first and the foremost factor is the size of the room where the fan will be installed. If the room is large, a bigger fan will be required. Choosing a smaller fan for a big room will force the motor to work harder than it should. One must consider the size of the fan in proportion to the size of the room. For example, rooms of 75 square feet or less need a blade span of 29 to 36 inches. This will increase with the size of the room. Check Energy Star to find the optimal fan size for the room in question. • The Room Height: The next thing to consider is the height of the room where the fan will be installed. This is a critcal factor, because it will have a direct effect on the airflow the fan produces as well as safety and maintenance. For better airflow, the height of the ceiling fan should optimally be 8-9 feet from the floor and never less than 7 feet. 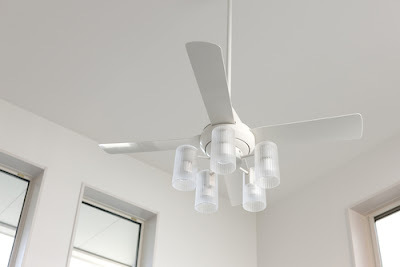 To do this, choose one with an extended downrod for higher ceiling fans and a 'hugging' fan for lower ceilings. • Blades pitch: The pitch or the angle of the blade also has an impact on air circulation. Normally, blade angles range from 8 to 15 degrees with higher pitches moving more air. However, blades at a higher pitch will require more energy to operate as well as more powerful motors. 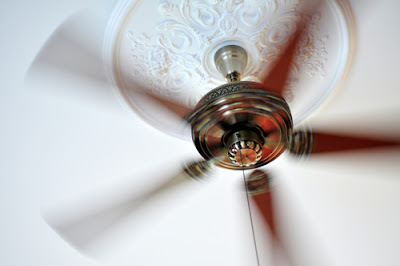 • The Fan Motor: The heart of the ceiling fan is the motor, which is responsible for the overall operation of the fan. Always choose fans that come with superior quality motors and heavy-duty windings. It is also crucial to opt for permanently lubricated sealed bearings. The smaller, modern fans with less efficient motors tend to heat up faster and create noise over time. Good quality ceiling fans are designed by reputable companies have motors that last for many years. • The Overall Finish of the Fan: The overall finish of the fan is also a determining factor. The body of the fan and its blades may be made of metal or wood. While taking your pick from these options, always go for a model with a good finish and quality. A nice finish will ensure that the fan is not tarnished or corroded over the years. Ceiling fans with a brass finish are ideal as they last longer, are scratch resistant, and do not require too much polishing either. • Warranty: Finally, the warranty of the fans should directly affect your buying decision. Always opt for a fan that has a better warranty. Select the fan with Energy Star rating to make sure that it is an efficient unit so you can save on your electricity consumption. For safety reasons, if you think you do not have so much idea about the wiring and other electrical tasks, you better consult the electrician regarding with the outlets to where the fan can be connected. This is to avoid short circuits due to overloading. Always look for the quality fan unit. Select the fan unit that ensures durability, efficiency and long-lasting performance regardless with the style and design. Look for the ceiling fan that does not wobble or create a loud and disturbing sound. For the best guarantee, prefer to buy the unit from the trusted names . Ceiling fans these days have many types of accessories available. The most common accessory for a ceiling fans a kit. Having a light in your fan can be very advantageous, especially if you are replacing the light in your ceiling with a ceiling fan. With a light kit for your ceiling fan, you don't have to lose the overhead lighting in your room. 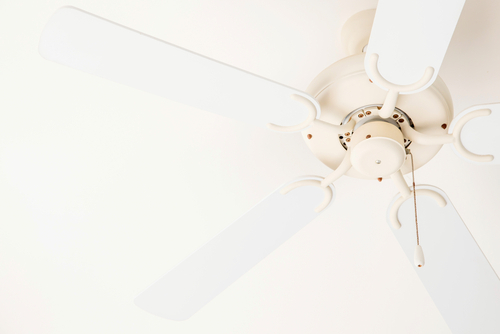 There are likely other accessories available for your particular fan, like fan blades in other colors or textures, wall control switches, remote controls, and many others. Depending on your ceiling style, you may need special accessories or adapters to install the fan. For example, if your ceiling is angled or vaulted, you will likely need a down rod adapter, which must be purchased separately from your fan. Some very low ceilings might also require special consideration. The pricing of ceiling fans varies widely. You can find budget fans that are low or fancier fans with more accessories and style options can go more higher. No matter the budget you have, you should be able to find a fan that will fit your room and your needs. Lights are another fan accessory that you might appreciate. Hunter fans can have their own light fixtures or you can choose matching kits to fit on your fans. Naturally there are different light fixture designs. You also have to consider though whether you prefer uplights for more subtle illumination or downlights for direct lighting. There are many styles to choose from, and you should certainly be able to find a style that suits your room and decor. Just some of the styles available include vintage or antique style, country, modern, traditional, and just about any color or texture you can imagine. As a simple example, if you have a white kitchen, a white or wood style ceiling fan would work well. Consider the place or the room where you want to install the unit. Take a look around and find out what style that room has. This way, you can select the unit with the style or design to complement the looks of the room. When you are looking for cealling fun in the market , you will find many units to choose from. It includes the varieties of the fan units such as the numbers of blades, finish, size and the style. Acquiring a unit is one good way to give your house a comfortable and relaxing treat as this ceiling-mounted home feature continuously circulates air in the room. There are some factors to take into account when choosing ceiling fans.